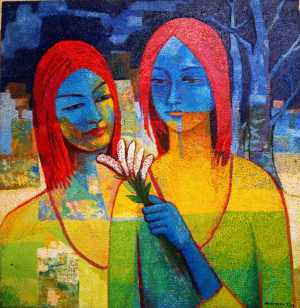 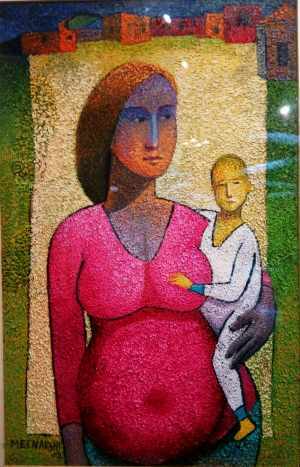 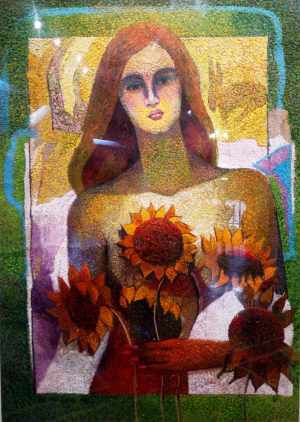 This interesting figurative artwork depicts the image of a woman with flowers. 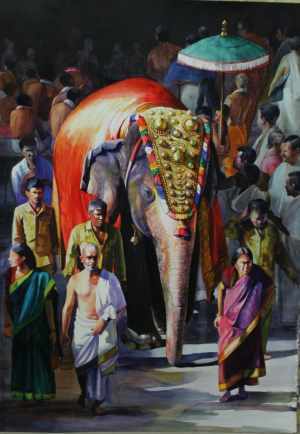 The artist has painted it uniquely using oil colors on paper. 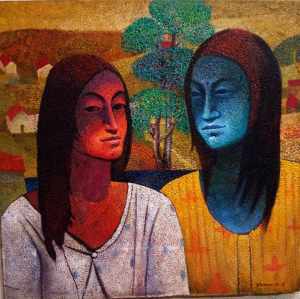 The colors and textures of the painting make it more attractive and eye-catchy.